Evelyn Prophete of Randolph has spent many years helping Haitian children learn to speak, read and write English. In June, she was awarded for it. Prophete was one of the recipients of the Boston Educator of the Year Award for her work with the Haitian Students with Interrupted Formal Education (SIFE) program at the Thomas Kenny Elementary School in Dorchester. The average age of Prophete's students is 9-years-old, though she does work with older teenagers. She has three years to work with the students to bring them to grade level. Prophete has seen great successes in the program. She recalled three students who came to the program without knowing the alphabet and functioned at kindergarten level. Those three students are now students at Boston Latin School and Boston Academy, and have passed the MCAS. Suzanne Federspiel, the principal of the Thomas Kenney Elementary School, spoke highly of Prophete and her work in the program. The program, Federspiel said, is just one of two in the city. The other is at the Charles Taylor Elementary School. "There were a good number of additional students coming from Haiti to the area,"� Federspiel said of the increase in students after the January earthquake in Haiti. Class sizes had to be capped, and there is a waiting list, she said. Federspiel called Prophete a "phenomenal teacher"� who sees progress in the program. She said Prophete sees children make more than a year's progress in one school year. "She's extremely committed to working with children who have low academic skill,"� she said. Federspiel said Prophete's dedication and high expectations of her students encourages them to work hard. "They know she's there to help them and is very proud of the work they do,"� she said. The Educator the Year Award "gives her the recognition she deserves,"� Federspiel said. 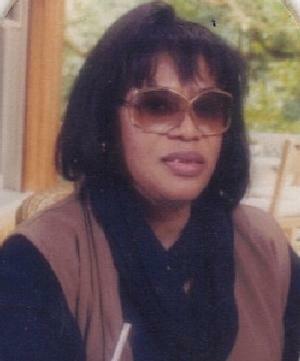 Prophete co-founded the Haitian Multi-Service Center in 1978 after she emigrated from Haiti. The organization provides services to Haitian immigrants through education, job applications, health services and family services. The organization has grown immensely since then and now is part of the Catholic Charities of the Archdiocese of Boston. The Boston Educator of the Year Award recognizes outstanding teachers, paraprofessionals, guidance counselors, school nurses and other educators who have made a unique contribution to their students, their classrooms and their schools.